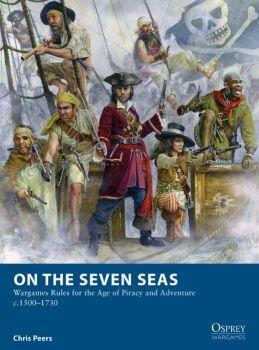 On the Seven Seas is a set of wargaming rules covering the high adventure and low morals of the world of the pirate. The rules cover licensed privateers such as da Gama and Drake, ruthless pirates of the Spanish Main, Blackbeard, the Barbary corsairs, the wako of the Far East, not to mention the anti-pirate squadrons, Spanish garrisons and native warriors from around the world that found themselves at odds with generations of sea-borne reavers. The focus of the game is on boarding actions and the exploits of pirate crews on land, and the rules offer a quick-to-learn, basic game based around individual characters and small units of rank-and-file. 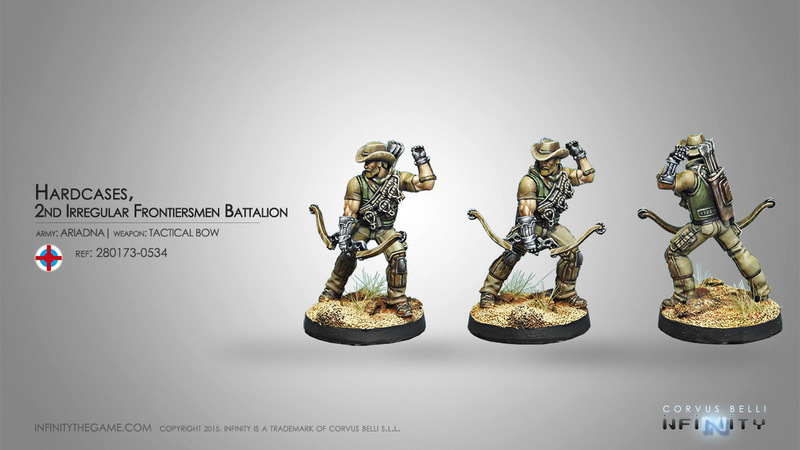 Most games will run to some 30 figures a side, although larger games are possible, and tribal forces especially will consist of more models. Gameplay centers around two driving motivations that epitomize the pirate life - Fear and Greed. Cunning captains will have to balance these two elements, instilling fear in their opponents with bloodthirsty reputations, while keeping their own crews in line with the promise of loot and wealth. Captains and crew are not just distinguished by these two ratings, however - skills, characteristics and disadvantages can dramatically alter a character's abilities, and allow for the development of characters over time. The rules also contain maneuver and gunnery rules for ship-on-ship combat. This is not a game of mass naval actions, but of small, personal duels between determined captains. Caravels, sloops, schooners, native canoes, junks and square-rigged ships up to frigate size can be deployed in the pursuit of a prize... or a pirate vessel. Varied scenarios and a detailed campaign system allow players to develop the stories of their crews, with scenarios determined either randomly, by player choice, or by the progression along a sample campaign path. Elements of a more fantastical nature, such as ghost ships, sea creatures and the strange powers of native mystics, may also be included to present pirate crews with very different challenges. The crews themselves may be drawn from a number of different options, each with their own advantages and disadvantages, and a points system is provided to produce balanced forces. Crew options include: Conquistadors, Spanish and Portuguese garrisons and treasure escorts, Naval pirate hunters, natives from the Americas, Africa, Indonesia and the South Seas, and pirates from around the world - Europe, North and West Africa, China, Japan and Indonesia.